MultiChoice is on a roadshow throughout South Africa, bringing DStv to malls across the country where visitors can experience an immersive and interactive VR video that explores the inner workings of the satellite pay-tv operator. “Inspired by the film Lord of War’s intro sequence, ‘The Life of a Bullet,’ we wanted to take the viewer on a journey through the eyes of the media equipment used to create the local and international content that MultiChoice broadcasts,” explains technical creative director Keno Naidoo of Left Post Productions. 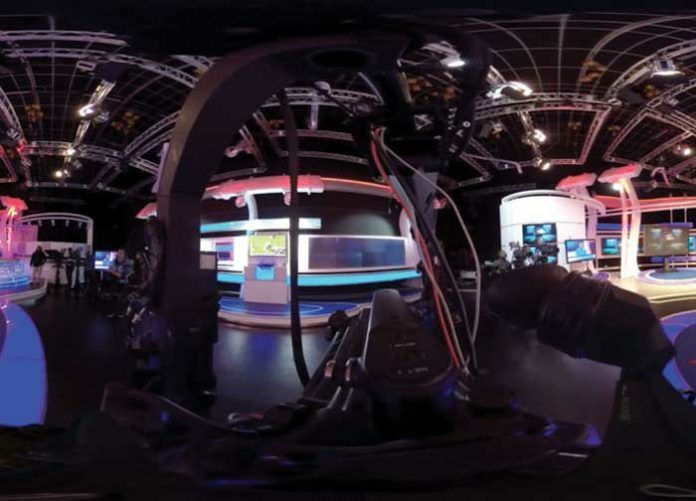 The VR film starts with the camera being switched on within SuperSport Studio 6 and from there it moves through the SSD card to the DIT’s workstation, the travel drive, the offline and online edit suites, the broadcast control room, satellite transmission into space and then back down through a home satellite dish into the television it’s being viewed on. “Through the entire process, the viewer is motivated (by both picture and spatial audio) to look around them, seeing the inner workings of the television,” adds Naidoo. Oxyg3n Media conceptualised and produced the VR piece. FC Hamman Films built and operated the specially designed drone to carry the VR rig. Left Post Productions was responsible for the offline and online edit, as well as the Visual Effects. Dondoo Studios created the app that hosted the VR piece on the S7 phones, did the final spatial studio arrangement and loaded everything onto the phones. Audio Militia was responsible for sound design, composed the music, and mixed all separate audio stems for spatial audio arrangement. The video was filmed at MultiChoice’s head office in Randburg, where exterior drone shots were taken, and interior at SuperSport Studio 6, MultiChoice City and the broadcast control room. Filming was also done at Left Post’s facilities and various other interior and exterior suburban locations. “We tried to keep the look slick and high-end, finishing in a commercial online suite,” explains Naidoo. “We also tried to incorporate the MultiChoice blue within most of the frames. The vibe is quirky and informative with a pace that leaves you wanting more,” he adds. The promo was shot on a specially modified 360 GoPro rig with 220˚ lenses that were imported, as well as a 3D printed housing, designed in house by Naidoo. “We also made use of the Samsung Gear VR camera for the tight squeezes like the card-reader shot and so too when the travel drive gets placed into an envelope,” says director Cremer van Dango of Oxyg3n Media. He explains that for the shots going into space they used a combination of live action and CG. FC Hamman Films built a specially modified drone that could house the VR rig on a poled gimbal to ensure that the cameras did not moved and shift on their own, allowing for a relatively easy stitch of the footage. Vallerie Groenewald built housings to simulate being inside the monitors and television sets, as well as the customised card reader slot, that was built to fit the SSD drive with attached Samsung Gear VR camera mounted on top. The promo was filmed between June and July 2016, with days off in between for art department requirements, location restrictions and testing. Gaydon says it was also a lot of fun working on new workflows with the audio team to ensure they received usable files for development in Unity (game engine). “It was a challenge ensuring a smooth stitching line, which meant we had to specially block all movement to ensure that no people or objects were cut-off within the stitching line,” explains van Dango. “We’ve done a lot of R&D with both the GoPro rig we’ve built as well as the Samsung Gear VR camera leading up to the shoot and identified the perfect action filming distances on both,” he adds. The video was edited in Adobe Premiere Pro CC 2015 with Mettle plugin for VR footage editing. MultiChoice roadshow kicked off in in August in Cape Town and will continue through to December 2016 in Pretoria. Cera-Jane Catton is a writer and journalist with years of experience in community newspapers, blogging and freelance journalism. She has worked in a cache of capacities, often finding herself behind or in front of the cameras, intentionally and less so. 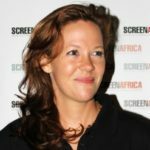 She has been a stunt double in two Bollywood movies, has worked in various capacities on a number of natural history documentaries, and other international productions shot in South Africa. Cera is a former Screen Africa journalist.